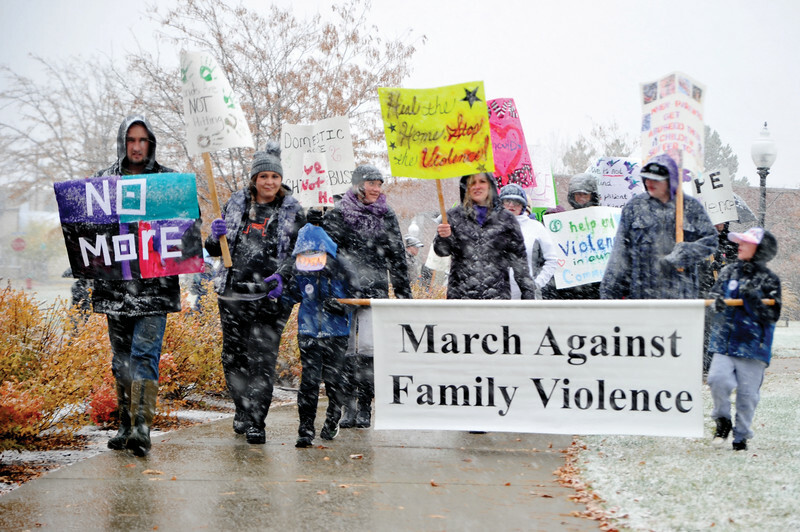 The Sheridan Advocacy and Resource Center hosted their annual March Against Family Violence. 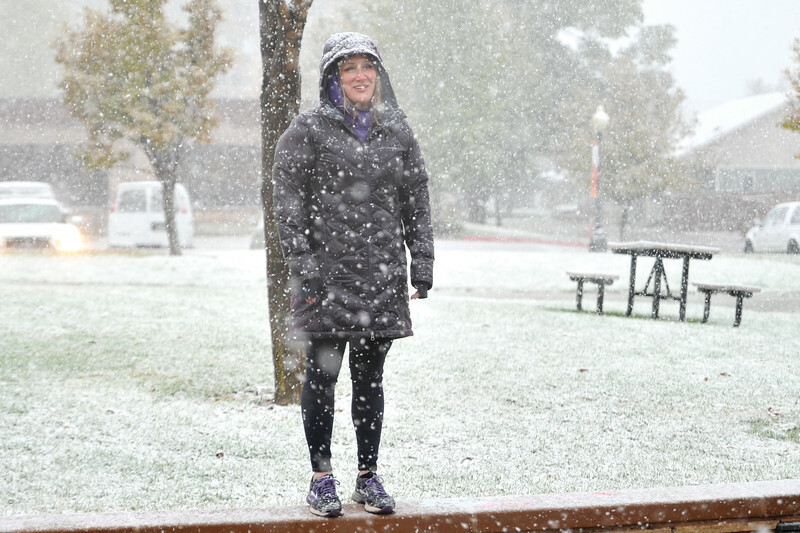 Advocates for the Sheridan Advocay and Resource Center braved the cold and snow for the March Against Family Violence Saturday, Oct. 13, 2018. 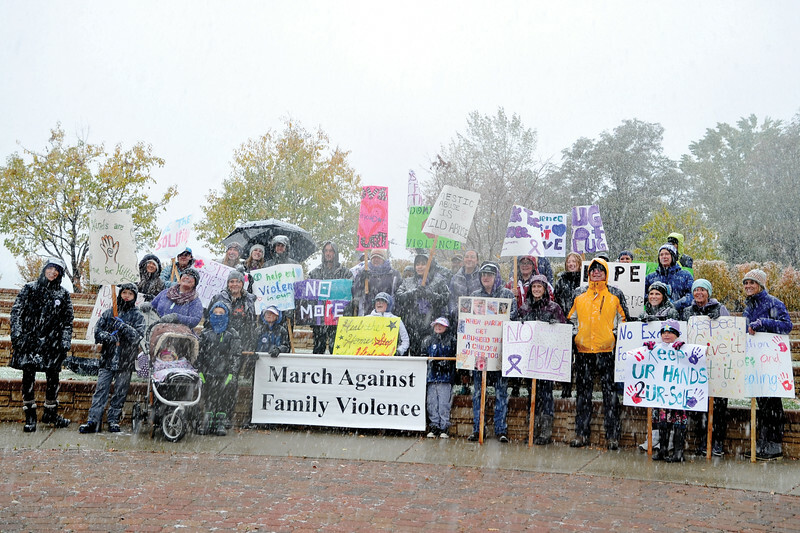 Participants in the March Against Family Violence gather at Whitney Commons park for a group photo Saturday, Oct. 13, 2018. 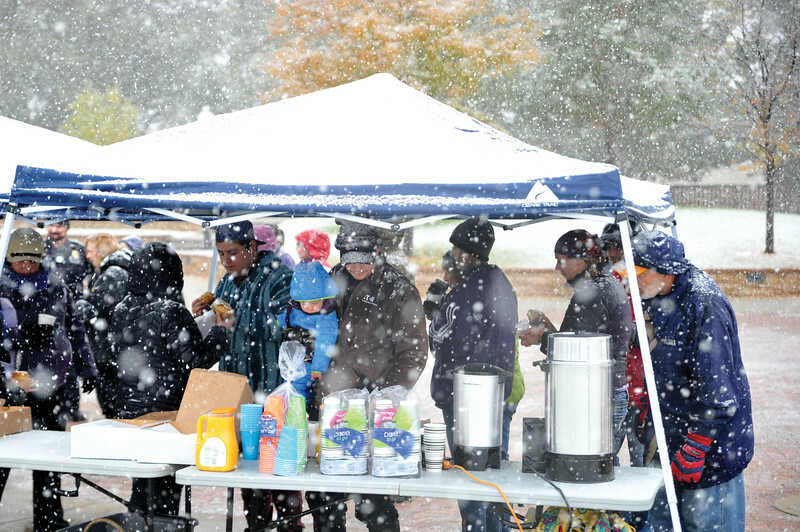 Hot coffee and pastries were provided to the dedicated supporters who braved the elements for the March Against Family Violence Saturday, Oct. 13, 2018. 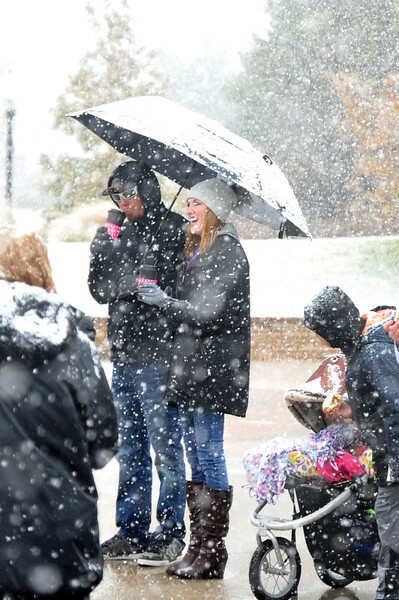 Lindsay Fischer, right, a board member at the Sheridan Advocacy and Resource Center and her husband Duane Fischer enjoy some hot coffee after the March Against Family Violence at Whitney Commons park Saturday, Oct. 13, 2018. The executive director for the Sheridan Advocacy and Resource Center, Yvonne Swanson, thanks people for coming out despite the weather for the March Against Family Violence. The march started at the County Courthouse and ended at Whitney Commons park Saturday, Oct. 13, 2018.